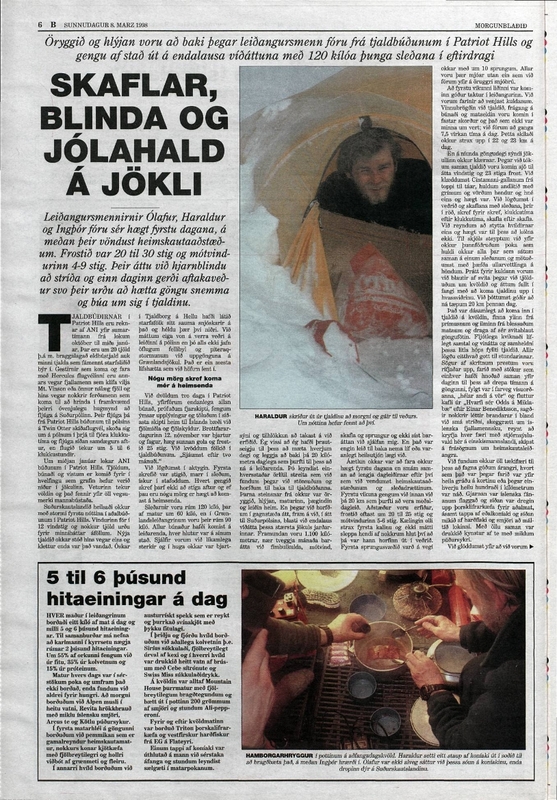 In January 1998 two Icelandic adventurers went on foot across the ice to the South pole. Triton was proud to sponsor their adventure by supplying them with Canned Cod Liver Pate for their trip. The high energy content of the cod liver and Omega3 content provided much needed nutrition for the journey. The new lumpfish season will start on 20th of March. So far the number of fishing days will be limited to 20 days, but likely more days will be added after the Icelandic Marine Research Institutes (HAFRO) spring expedition April 1st. Fishermen strike the longest one yet? The Icelandic fishermen are still on strike for the 6th week running. Any agreement with the boat operators seems as distant as before. Its quiet in Iceland's factories as most processors have closed and sent their staff home. All stocks have long since been shipped out and its clear that the industry is crying for an end to the strike.